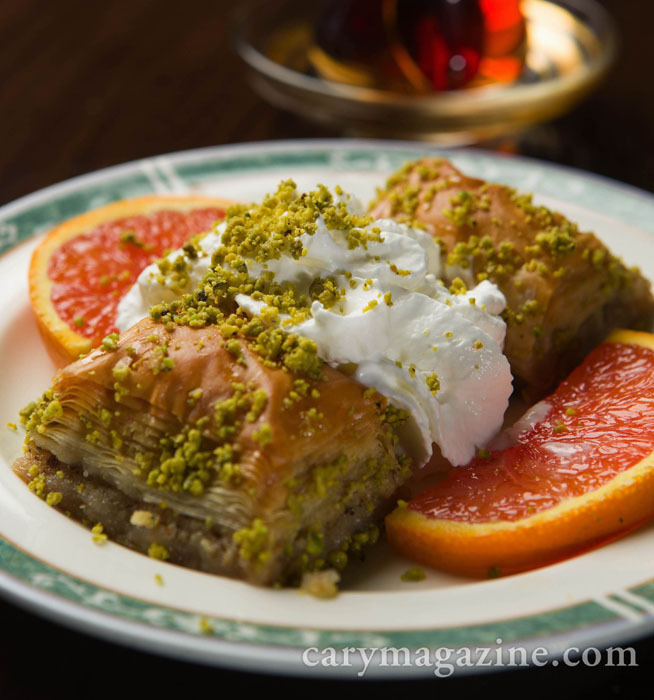 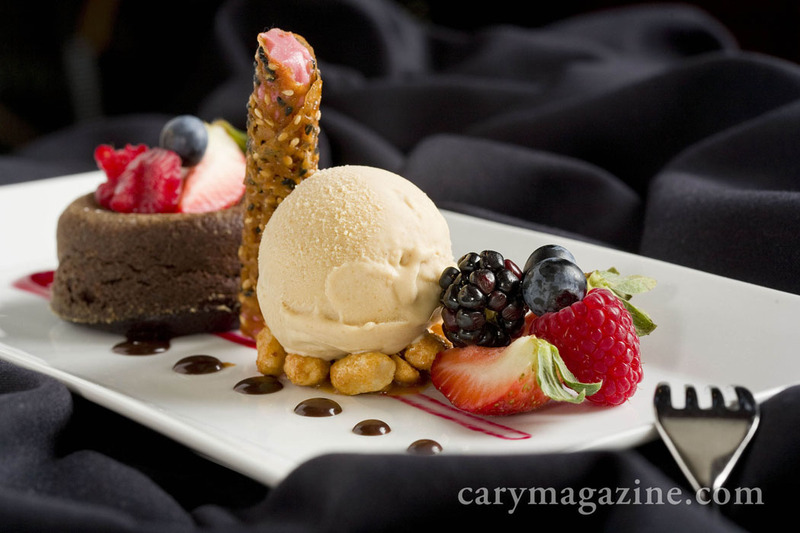 Baklava, a flaky filo dough is layered with ground pistachios, walnuts and sweet syrup, at Bosphorus Restaurant in Cary. 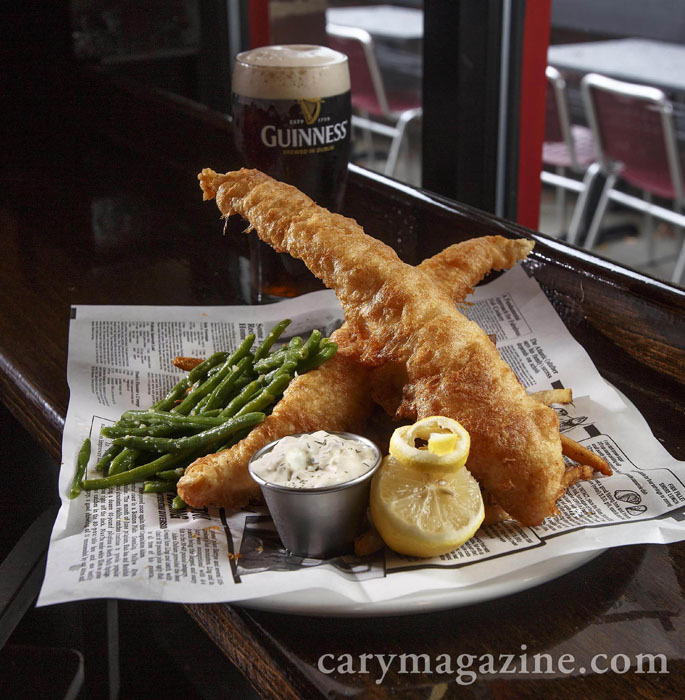 Batter-fried whitefish is served with hand-cut fries, green beans, tartar sauce and malt vinegar at Doherty's Irish Pub and Restaurant in Apex. 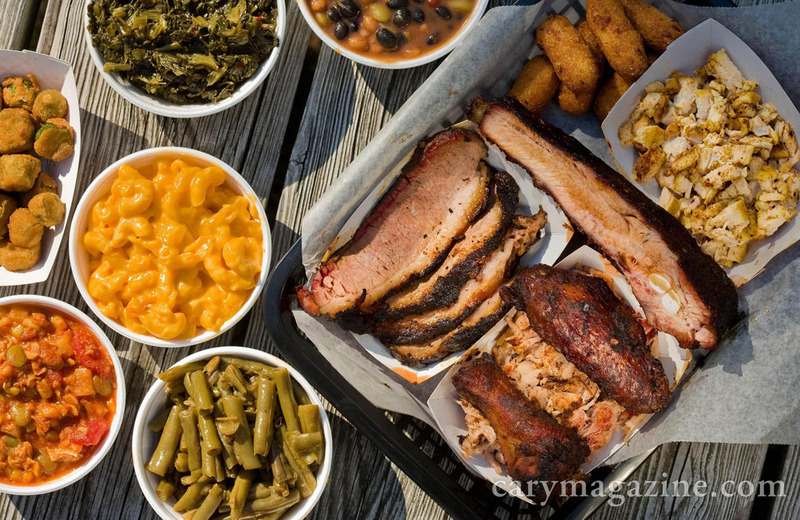 Dry-rubbed pork, beef and the fixings at Smokey's BBQ Shack in Morrisville. 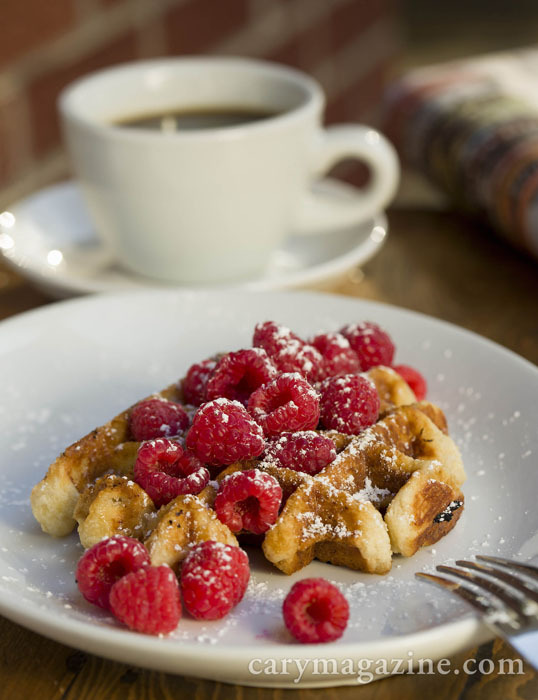 Belgian waffles at Belgian Cafe in Apex. 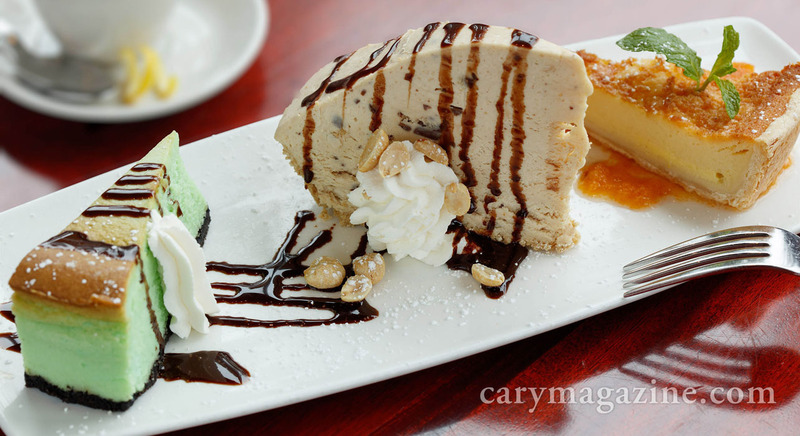 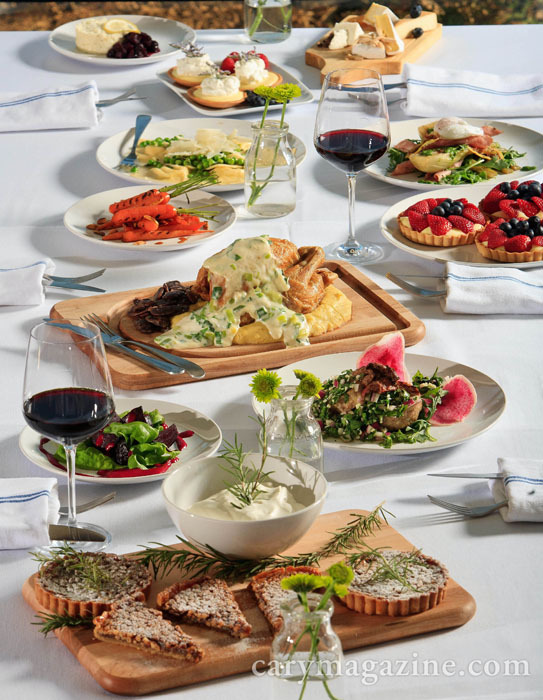 Lucky 32's grasshopper cheesecake (gluten-free made with European Schär cookie crust), peanut butter cream pie with graham cracker crust, and buttermilk chess pie with fruit coulis. 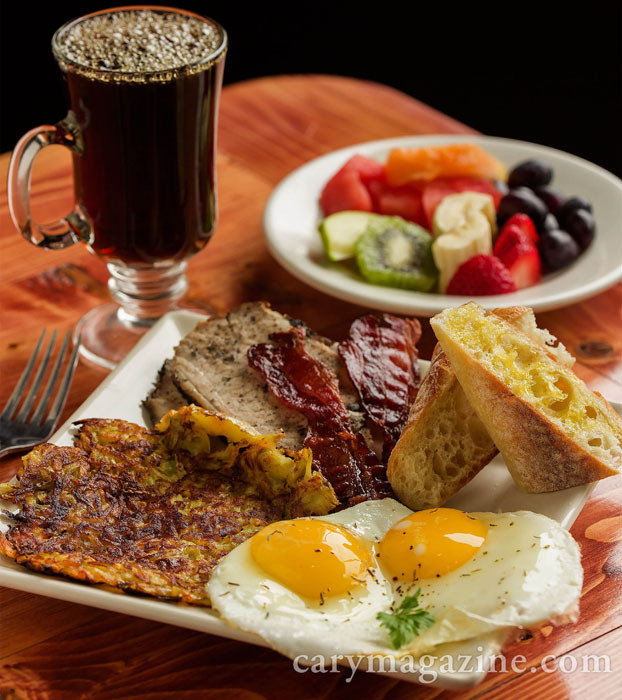 Espresso-rubbed pork loin with two eggs over-easy, bacon, hand-shredded hash browns and fresh fruit with a warm buttered French baguette at Sip Wine & Coffee Bistro in Holly Springs. 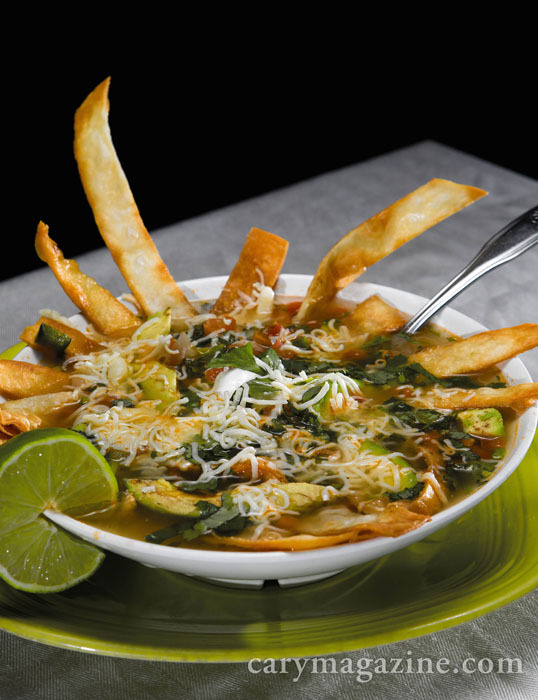 Chicken Tortilla Soup at Los Tres Magueyes. 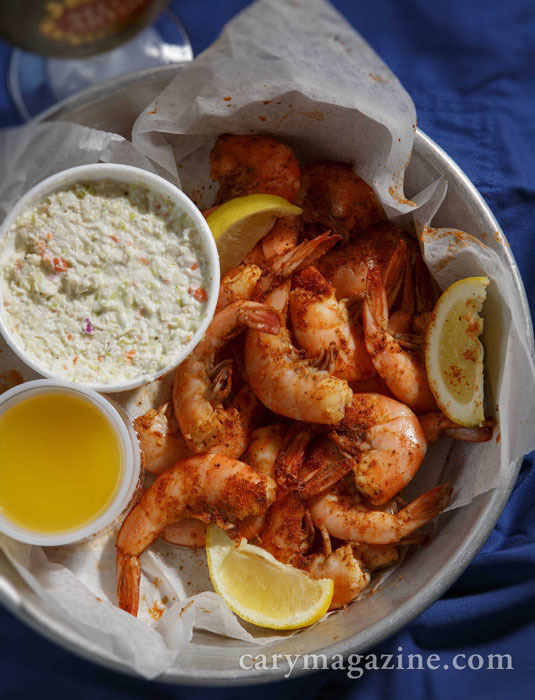 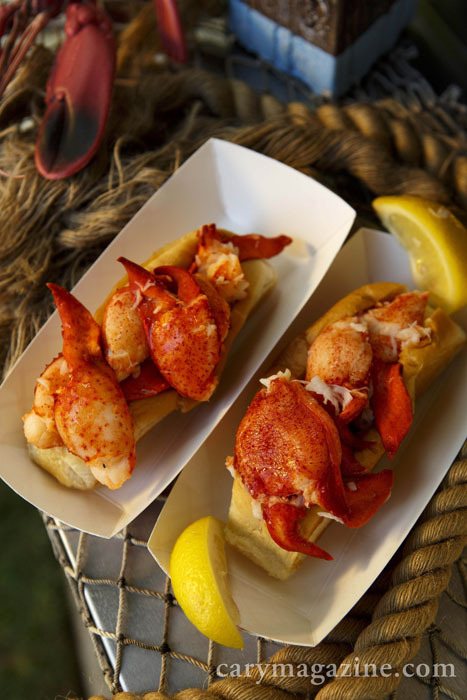 At Cousins Maine Lobster food truck, warm lobster is tossed in butter and lemon then piled onto a split-top bun. 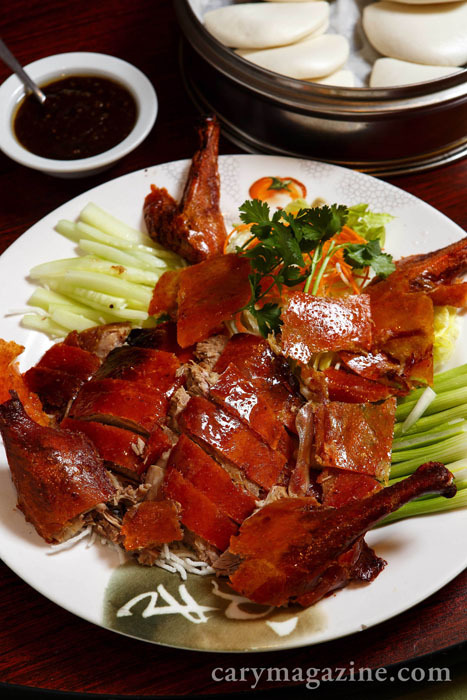 Crispy Peking duck at Banana Leaf. 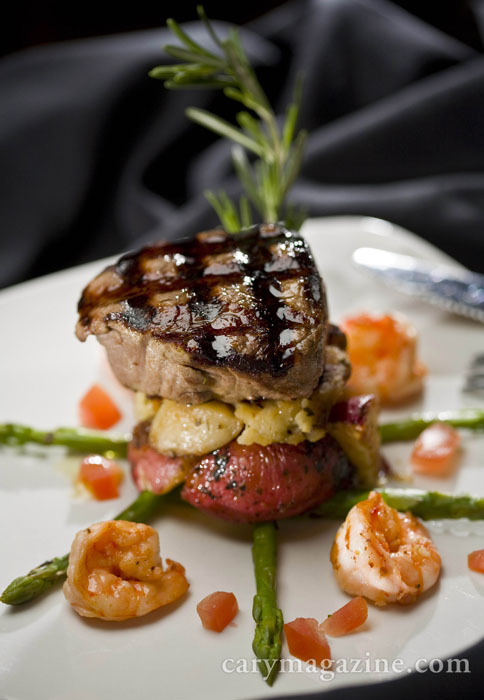 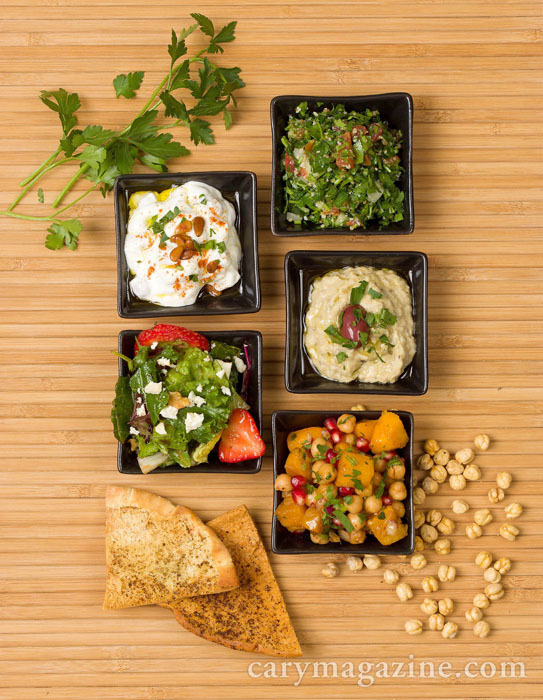 Irregardless Café doesn’t miss a beat when it comes to providing exceptional service, cuisine and live music. 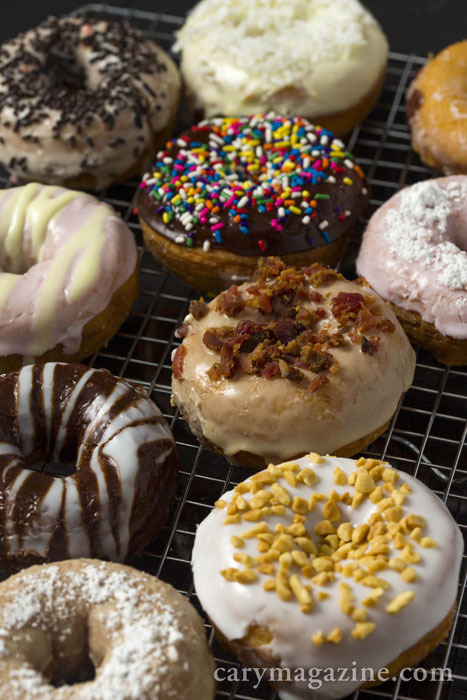 Duck Donuts is fast becoming a popular spot for a doughnut enthusiast’s pilgrimage. 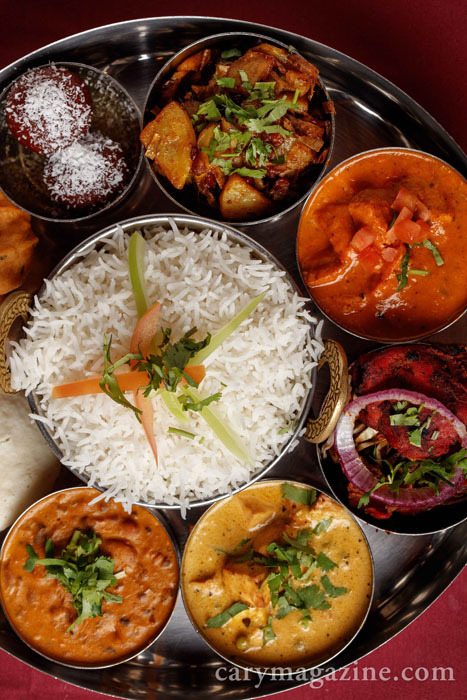 Rajbhog Café offers 100-percent halal dishes from across the Indian subcontinent, and an all-you-can-eat lunch buffet. 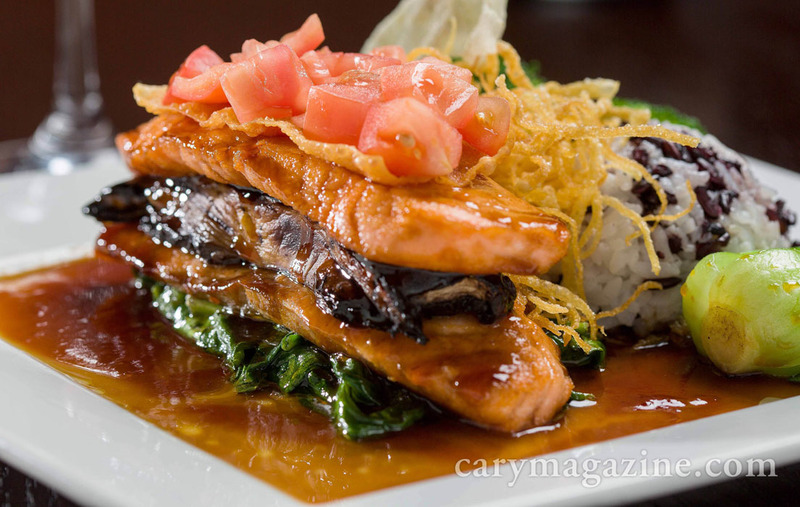 The main course at Little Hen Restaurant in Holly Springs. 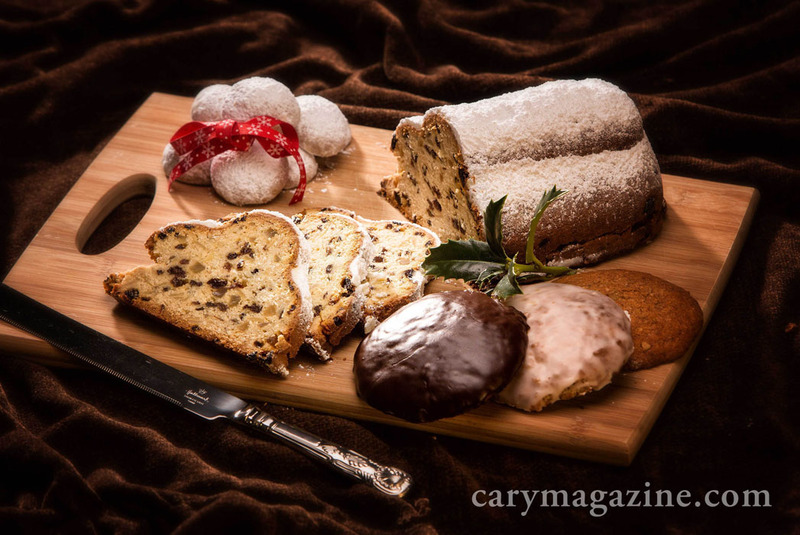 Annelore’s German Bakery in Cary. 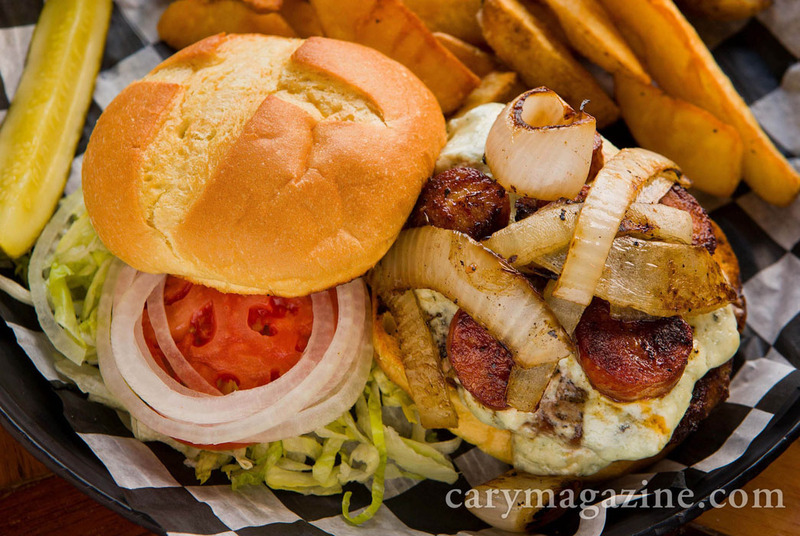 Gourmet burger with andouille sausage, blue cheese crumbles and grilled onions at My Way Tavern in Holly Springs. 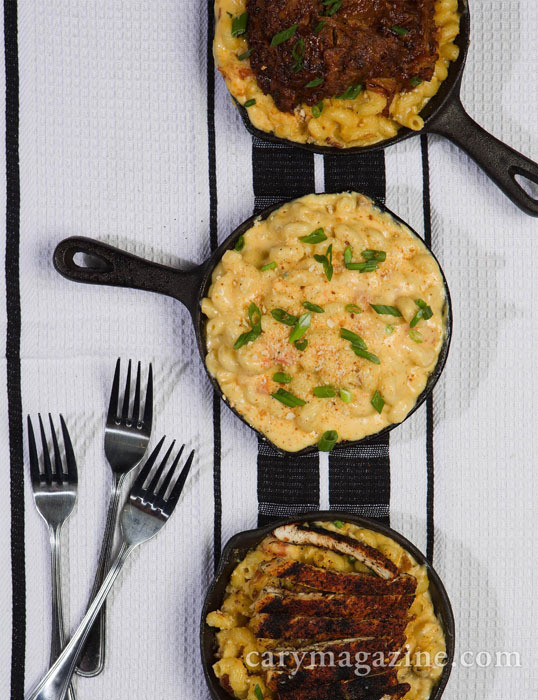 Bliss for mac-n-cheese aficionados -- 12-ounce portions created with a blend of cheddar, Monterey Jack and Parmesan cheeses, cavatappi pasta, bacon, tomatoes and toasted bread crumbs. 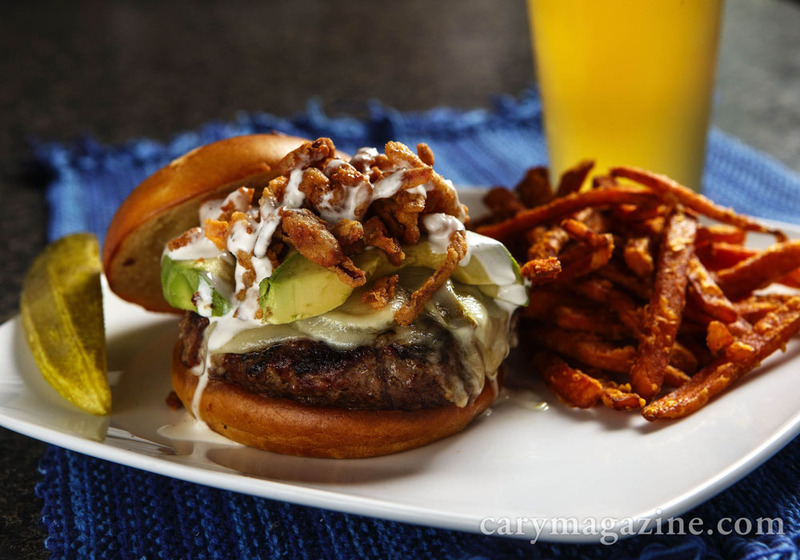 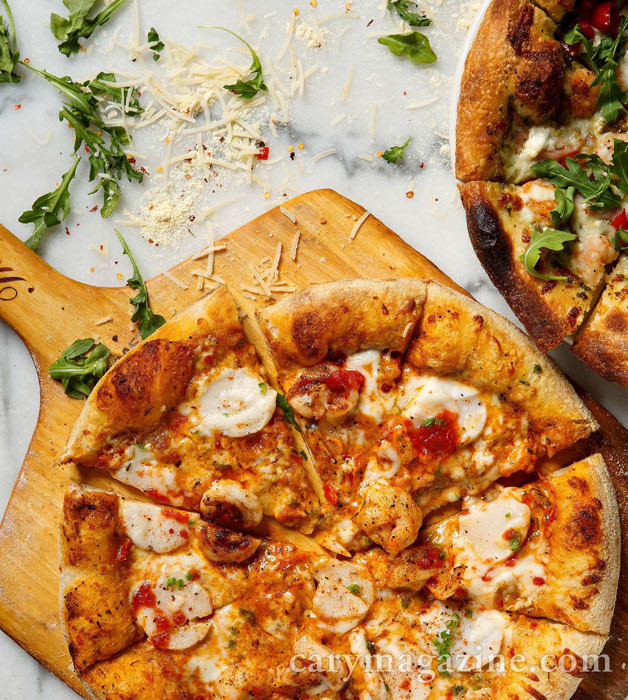 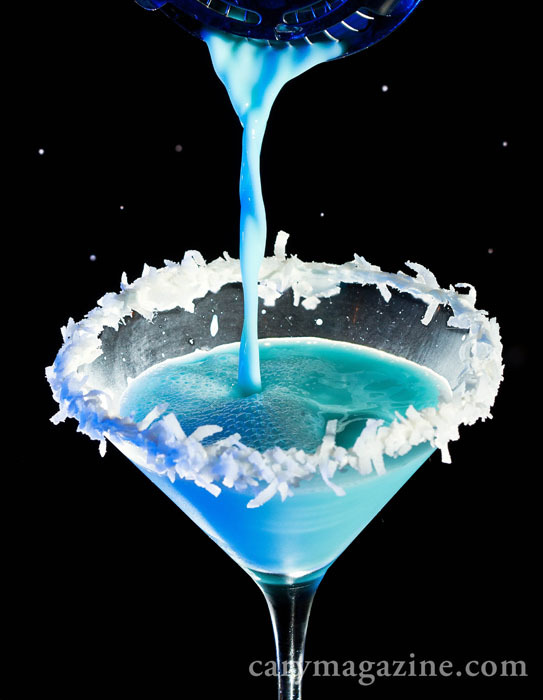 topped with your choice of barbecue pulled pork or blackened chicken at BlackFinn Ameripub. 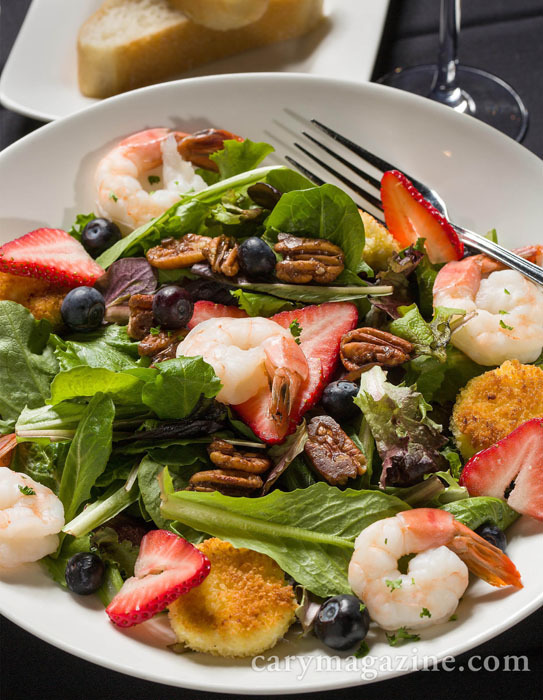 Mixed green salad with nuts and berries at Chef's Palette in Apex. 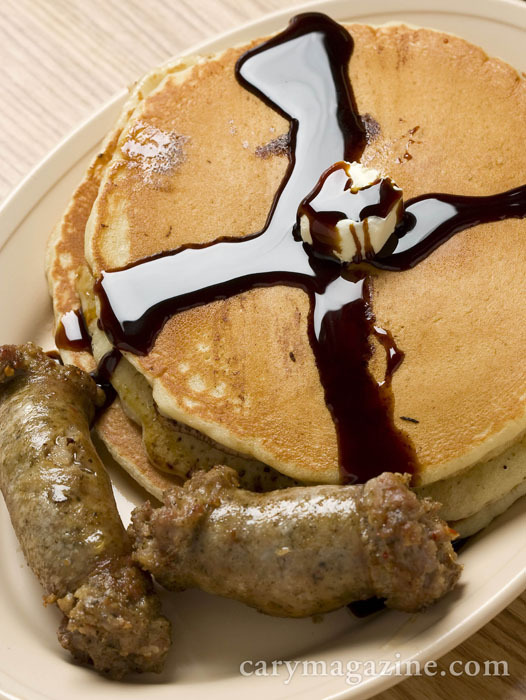 Hubcap-sized pancakes and sausage at Jus' Enuff Home Cookin in Fuquay-Varina. 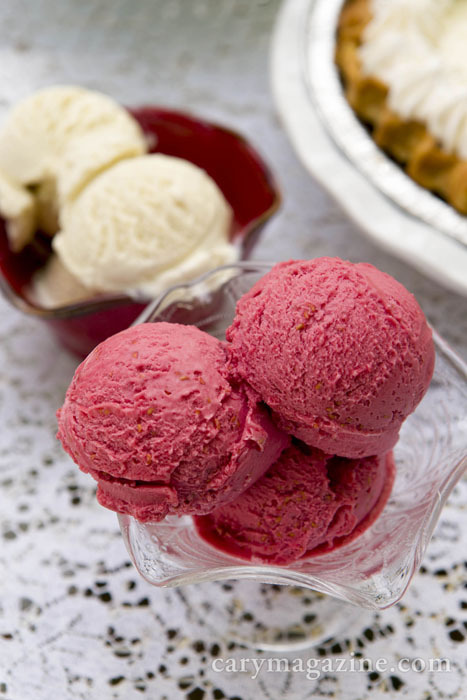 Raspberry sorbet and French vanilla from The Freezing Point. 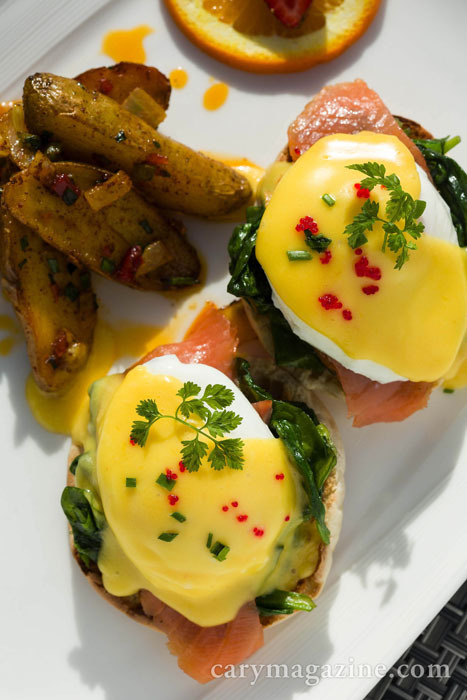 Smoked salmon with spinach Benedict and fingerling potatoes at Academy Street Bistro in Cary. 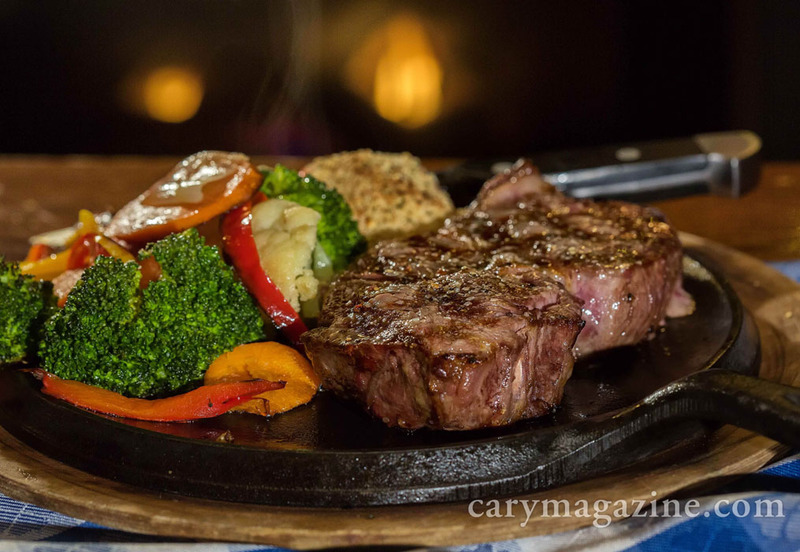 Succulent steak at Angus Barn in Raleigh. 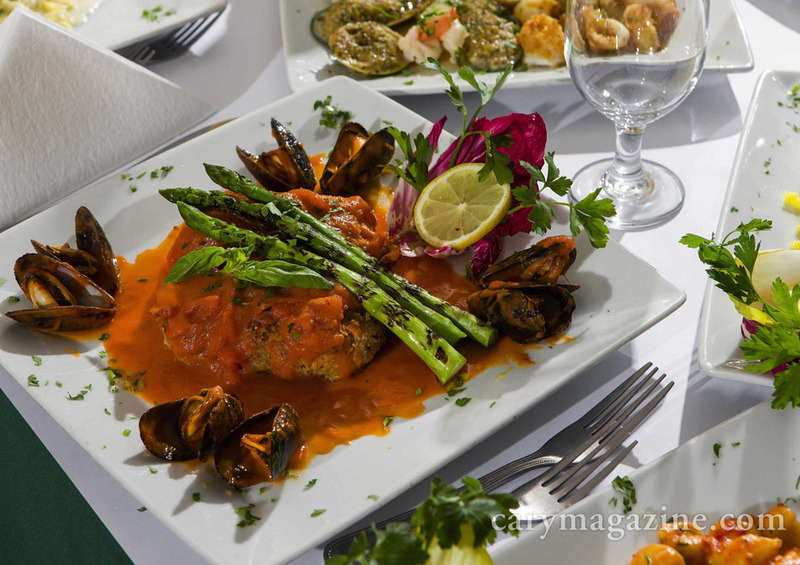 Stuffed Branzino alla Marechiara with fresh asparagus and black mussels at Bellini Fine Italian Cuisine in Fuquay-Varina. 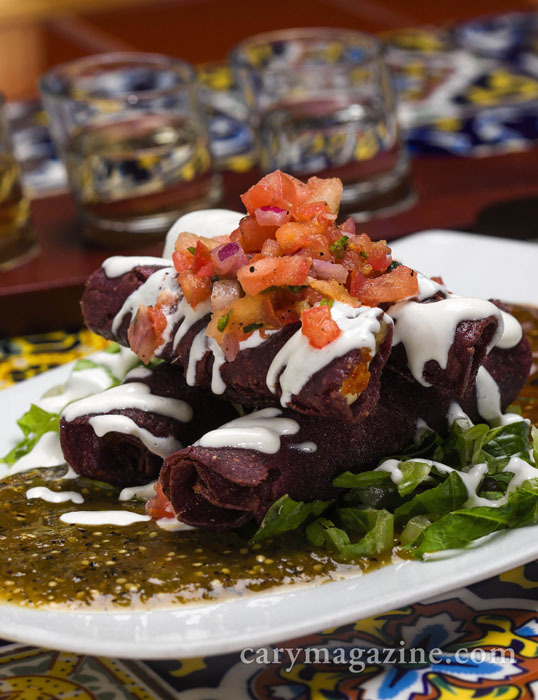 A stack of taquitos at Totopos Street Food and Tequila in Cary. 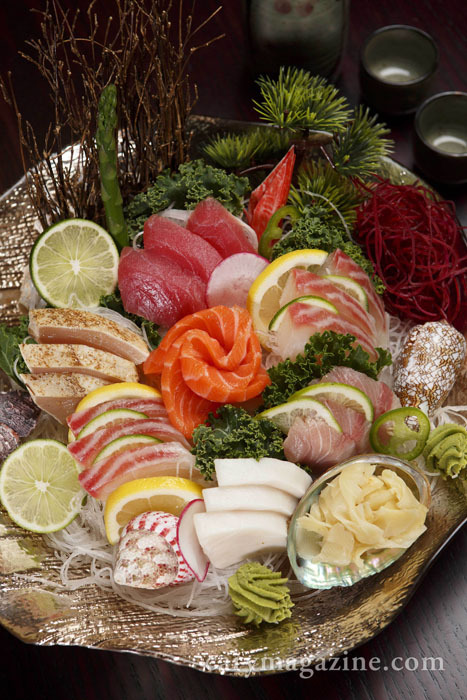 The sashimi mori at Oiso Sushi and Korean includes red snapper, albacore tuna, salmon and yellowtail. 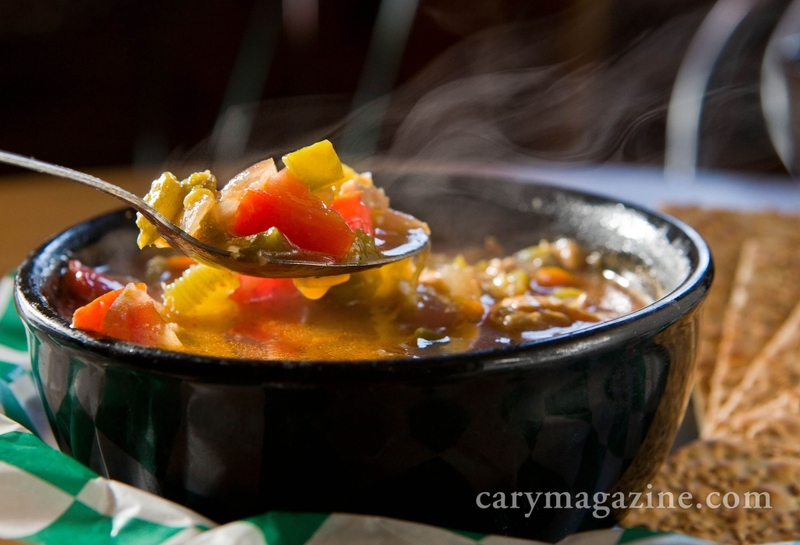 White bean and chicken chili at Serendipity Gourmet Deli in Cary.